Ever wonder what its like to be a mentor? Or wonder how to become a mentor as a college student? There are many ways. A mentor is a person who can be trusted and usually gives advice to people. On campus I’m a part of Rambassdors, Orientation Leader and just became a Resident Assistant. All those positions plays a crucial role in the student life of Farmingdale. 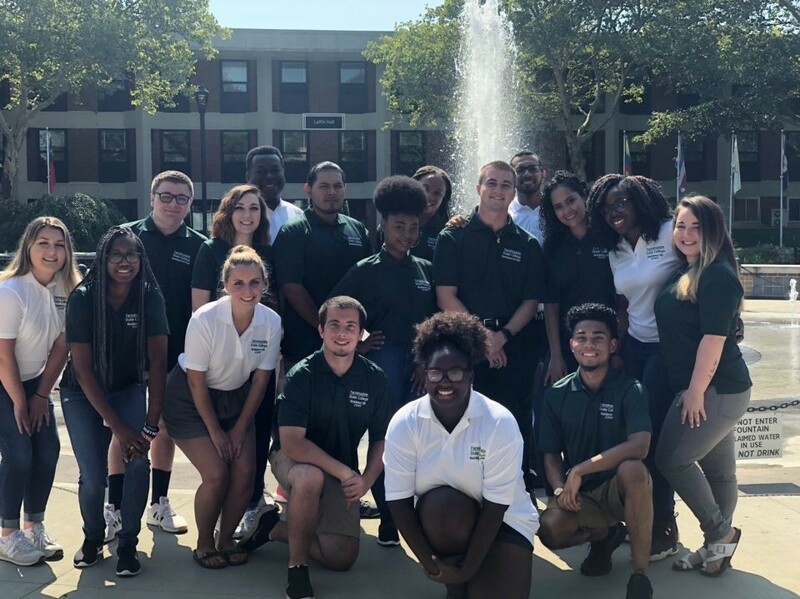 As a mentor Farmingdale State College has become a second family students to where all the resources and assistance are provided for self-investment and growth. The students feel like they belong in a community. As Orientation Leaders, we serve to incoming freshmen in their transition to Farmingdale. Orientation Leaders work closely with first-year students communicating a board range of topics including academics, student involvement, residing, and more. Oprah Winfrey once said “a mentor is someone who allows you to see the hope inside yourself.” As an Orientation Leader it allows us experience college students, to share guidance to freshman’s. Allowing the freshman to have better hope for a successful college experience. From experience when I did my orientation in summer of 2017 I gained confidence that I made the right choose with choosing Farmingdale. My orientation leader was Bradley Correia a very successful student who won the Prestigious SUNY Scholarship, throughout my orientation I would ask Bradley questions in regards to campus life, academics, and helpful tips. With those tips, I had a successful first year with new opportunities and meeting new people. After my first-year experience, it motivated me to do better, in such to become a mentor myself around campus, that is why decided to signed up for Rambassdors and became an Orientation Leader for Summer 2018. In my opinion, I feel like everyone needs a mentor to provide guidance for them, especially when comes to transitioning into college. A Rambassdor is similar to Orientation Leader however the difference is for the tours it is for potential students who are considering on attending to Farmingdale. We help aid in student recruitment in events such as Accepted Student Day and Open House. For Accepted Student Day it allows for potential students who have been accepted the opportunity to get to know some students and to find out what it is really like to attend Farmingdale. 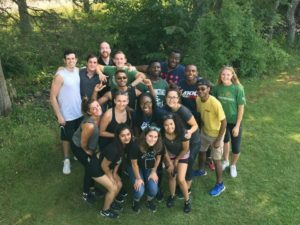 Similar to Orientation Leaders, Rambassdors are allowed share our college experience to potential students. Allowing potential students to have better hope for a successful college experience if Farmingdale is their chose. With Open House, it is open to students who are considering on applying to Farmingdale to have experience to meet with students, faculty. The faculty staff can be Professors, staff from admissions, and others all serve as mentors because the students ask professors questions with regards to academics, questions about major and how it relates to their future career. Professors are able to be the mentor for students and help guide them. Resident Assistants are a major mentor on campus especially for students who reside on campus. The purpose of a Resident Assistant is to enhance the quality of life in the dormitory halls, while encouraging the academic mission of the college for the students in the Farmingdale community. A Resident Assistant is more than just a friendly presence we are the crucial link in creating an environment in which we guide students into developing independence and learn to live cooperatively with others. Prior to being a Resident Assistant former Vice President of Rambassdor Liam was my mentor during throughout my freshmen year I went to programs he held. I would ask him questions relating to becoming a Resident Assistant and the application process, the training and the actual position of being a Resident Assistant. Still up to this day to refer back to Liam for guidance for being a Resident Assistant. As a former Residents Assistant, I am the only one in the group who is Automotive Engineer major. Which is a small community of students who major in Automotive Engineer, with being a Resident Assistant with that major I can guide students on which courses to take, advise students who to talk to in that major. This allows students to have pleasant college experience and to come to you as a second consultant when it comes academic concerns. Overall a mentor is a person who can be trusted and usually gives advice to people. Being a mentor plays a crucial role in the student life of Farmingdale. With my participation on campus the students feel like they belong in a community. There are other ways to be a mentor on campus such as starting a club, having a role in a club, even joining sport teams.